SCANDAL, the running TV show that’s aired Thursday nights on ABC at 10:00pm captured the hearts and souls of anyone who watched it for the first time during the first two seasons (Season 1 & Season 2). Even the guys and gals in Washington including the president chimed in; SCANDAL was dubbed so good and shined such a bright light on the executive producer (Ms. Rhimes) that the president of the United States appointed her to the Kennedy Center’s board of trustees. That’s when everything went south. Too much fame, too much fanfare too fast is sometimes a recipe for disaster and failure. 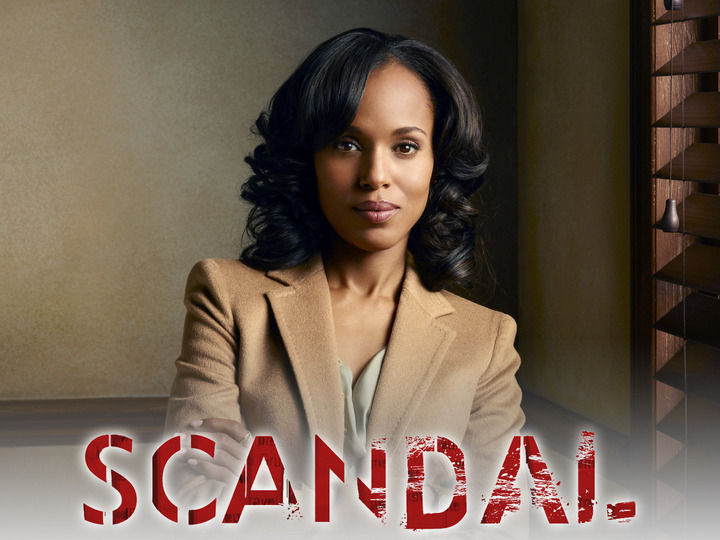 The first two seasons of the show are what makes SCANDAL “scandalicious”. The theme was simple; the story line was straightforward. Olivia Pope & Associates do damage control for high profile people in trouble and is having an affair with the president; everything else hinges around it. Cyrus, the president chief of staff, is living his dream (to be president) through Grant, the current president. Cyrus would do anything, whatever it takes, to keep his post; at one point, he even ordered a hit on his husband, a journalist in the White House Press Corps, who was getting too close to discover the truth that Cyrus & Company rigged (stole) the election. Olivia Pope (& Associates), the main character, is very good at handling crisis; politicians of all walks of life knock at Pope & Associates door for help. She is very good at spinning stories; after all, she was White House Press Secretary. She uses – literally – her Washington connections to grant and obtain favors. When she met Jake (by accident, wink wink) who was tasked by the president to watch over her, he seduced her and they slept together while the video-recording was rolling (part of the plan? ); that made for a hell of a juicy and SCANDALOUS story! It sounds just like the real Washington, doesn’t it? Olivia’s heart began shifting from ex-fiancé, Rep. Edison to the president to Jake. She was indeed a very troubled woman; she could solve everyone’s problem but her own. At times, you may have even felt bad for Olivia. At the other end, somewhere in a dark alley or at a Smithsonian office was Olivia’s father, Rowan, head of B-6-13, an organization that’s accountable to no one, not even the president; Rowan uses any and all means to “protect the Republic”. Racing to save his daughter, Olivia, by trying to end her relationship with the president, Rowan put pressure on Cyrus to show the tape (Olivia making love to Jake) to the president; that should do the trick, Rowan must have thought. It didn’t. Olivia and the President continued to have the affair, the president sneaking in and out of the White House with the help of Secret Service of course. The president’s brilliant plan to leak Olivia’s name backfired. Mellie always thinks things through; she wants to stay First Lady at all cost. But Mellie couldn’t afford to lose Olivia; she is the only one who can guarantee the president’s reelection. So, with the help of James, Cyrus’ husband, Mellie leaked false information to the Press, pointing the finger away from Olivia; somebody else, a young intern, took the fall. Do not fear! Olivia was right there to help the intern; she was by her side doing what she does best, put a good public defense for her client. Unfortunately, that’s where SCANDAL ended. Season 3 has been very disappointing thus far. Season 3 Episode 1 started with “It’s handled” which puts Olivia’s affair with the president to rest, at least publicly. Coincidentally, with Season 3 Episode 1, SCANDAL was also put to rest. It is no longer the “must watch” show. What remains of SCANDAL is the memory of past Seasons, the hope that the next episode, and the next episode, and the next episode will revive the show. Once memory of past seasons are completely faded away, – which would not take too long – SCANDAL will also fade into oblivion. In the next post, we will take a look at what’s killing SCANDAL and how the famed producer – Shonda Rhimes – can redeem it from slipping slowly into oblivion.